I checked my flickr page just to be sure, but I was right! 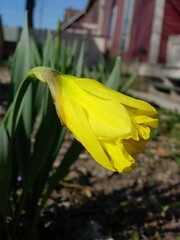 My daffodils are only just now blooming- and only the smaller bulbs, not the larger daffodils. 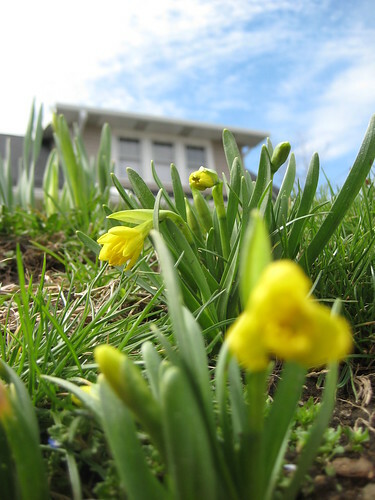 Last year, they peeked out in January, and bloomed by March 24th. 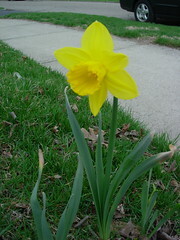 Three years ago, they were blooming (granted, at my apartment, not my house) by March 20th. Where's the global warming?